Casino gaming software company Yggdrasil Gaming have well established their reputation as a provider of top-notch audio and video design. Rewarding both in terms of entertainment and payouts, they have continued in the same fashion, and went beyond with their latest 2018 release, Dark Vortex slot. The name is as mysterious as the game, ominous of an unraveling story that will immerse players into the Vortex that prevails the gameplay, as you will soon learn. What is more, players are bound to get the chills of the atmosphere straight upon accessing the slot screen. Dark Vortex slot’s grid is embedded into monster-like stone carvings set against a foggy backdrop, with a gloming light fit for an ancient abandoned castle construction. On the reels themselves, players will encounter symbols echoing the same theme, with low value symbols consisting of spellbooks in different shapes and colours, and high value ones, represented by monsters, witches and such creatures. An interesting point for players is that these symbols, found on the slot’s regular 5-reel grid will pay both ways, within an indicated 243 lines which increases up to 3125 win ways during the special feature. Regarding the special features of Yggdrasil’s Dark Vortex slot release, players are encouraged to expect the Wild symbol, Vortex scatter and the 2 Orb symbols appearing under specific circumstances. Starting with the Wild, players will see it substitute all regular symbols any time it lands on the designated reels 2, 3 and 4. Nevertheless, it is the Vortex that seems to dominate this slot’s gameplay, arguably from the moment it has been named. 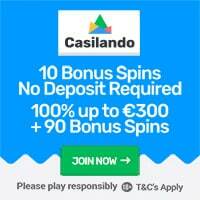 Just 2 of these symbols landing on adjacent reels is enough to trigger its unique Vortex Reels feature – the respective reels turn from the regular 3-row to 5-row, which in turn increases the number of payways and potential payouts. Any additional Vortex symbol landing during these spins will award players and additional 2 respins and, of course, a vortex reel. During these Vortex reels, players will also benefit from the Orb symbols which appear as a Pink Orb and a Blue one. The former should only be expected on the side reels 1 and 5, while the latter one lands on the central reels 2, 3 and 4 to balance. The Pink Orb adds a Wild symbol on each of the three central reels whenever it lands on either of the side reels during the Vortex reels feature, and the Blue Orb is no less generous – players can expect one more free spin of the Vortex reels each time they collect one from one of the three central reels. A standard free spins bonus round feature is also available, should players manage to expand all 5 reels into Vortex reel spins. This turns the grid into a 5×5 structure, causing the paylines to increase to the maximum of 3125. Considering that the Pink orb awards an additional Wild on each of the reels 2, 3 and 4, players are bound to benefit from the fact that this bonus round feature comes with stacked Wilds on the same reels. Under such circumstances, there is no doubt that patient players will get their stake’s worth with an RTP of 96.5%. This is where Yggdrasil have decided to include an additional option for the less patient portion of their player pool – a buy-a-bonus button that allows them to trigger the bonus round as much as they want to straight from the regular gameplay, with a new RTP of 97%. 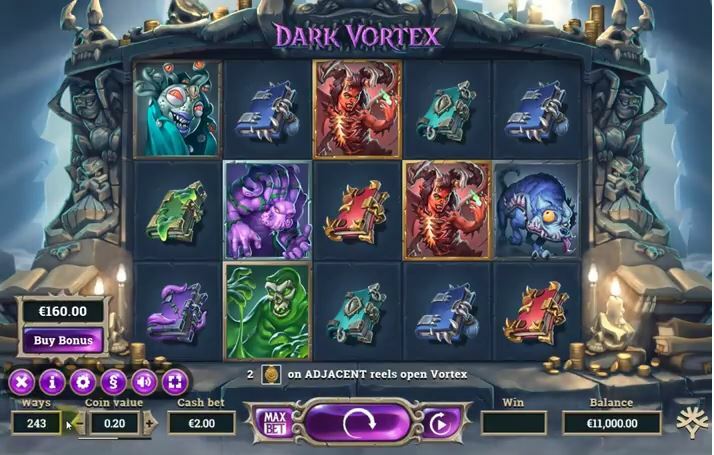 Companies have only recently started implementing this feature, but considering the amount of satisfied players and slot providers, Dark Vortex is just as likely to get listed in the favourites section across Yggdrasil casinos in no time. Dark Vortex video slot was released by Yggdrasil Gaming on the 24th of October 2018! 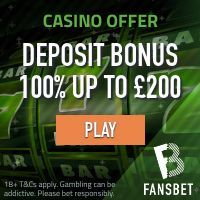 Featured: Get 20 no deposit casino spins at Dunder Casino!